Locate the probate and family court sitting in the Massachusetts county where the decedent lived when he died. This court has jurisdiction over the decedent's probate estate. File a Petition for Probate, a Military Affidavit, a certified copy of the death certificate and the will with the clerk of the appropriate probate and family court. 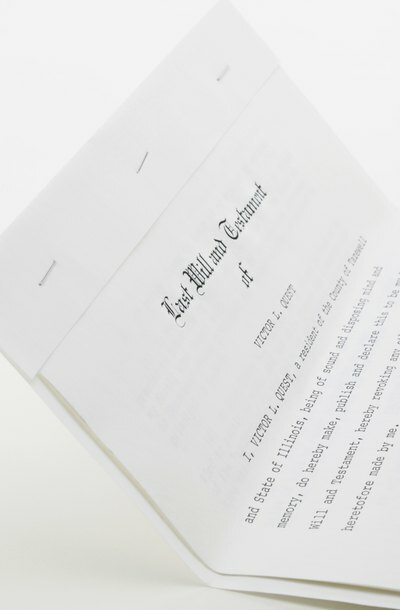 The Petition for Probate requests the court to recognize the decedent's will and to formally appoint the executor named in the will. The Military Affidavit states whether any of the decedent's heirs are in the armed services. If you are named in the will as executor and appointed by the court, you may have to post a fiduciary bond, which protects the estate from any fraudulent or illegal actions on the part of the executor. Not all courts require bonds; further, a will may state that a bond is not necessary. Within a few weeks of the filing of the Petition, the court will issue a Citation, which is a court order for the proposed executor to provide notice to all the decedent’s beneficiaries and heirs that a Petition for Probate has been filed and to publish notice in the local newspaper where the decedent lived. The published notice alerts creditors of the decedent’s death and states that interested parties can object to the appointment of the proposed executor. Once you are appointed as executor by the court, you can commence to manage and distribute the estate. Mail a copy of the Petition and the decedent's death certificate to the Massachusetts Department of Medical Assistance, so that it can assert any claim it may have against the estate for state medical assistance provided while the decedent was still alive. Prepare a written inventory of estate assets and liabilities including real estate, personal property, cash, intangible assets such as corporate shares, money owed to the decedent, such as a last paycheck, and estate debts. The inventory must include an appraisal of estate property prepared by a professional appraiser. File the inventory with the court within three months after the probate petition was filed. Close all accounts that are titled in the decedent's name, such as credit card and bank accounts. Obtain a taxpayer identification number for the estate and use it to open an estate bank account. Collect all outstanding debts to the estate, such as the decedent's last paycheck, and deposit them into the estate bank account. File the decedent's final federal and state income tax returns. File tax returns on behalf of the estate if its income exceeds the minimum exemption. The estate must file a federal income tax return if it earns more than $600 during any year or part of a year in which it is subject to probate. File Massachusetts state estate tax returns if the value of the estate exceeds the minimum estate tax exemptions. These exemptions vary from year to year, but are typically in seven figures. You will need information from the inventory to file these returns. It is advisable to consult with a tax professional on these matters. Pay all estate creditors, liquidating estate property if necessary to pay legitimate estate debts. You are expected to view creditor claims skeptically; you violate your fiduciary duties by negligently paying invalid claims. Distribute estate property to beneficiaries and heirs as directed by the probate court, liquidating estate assets if necessary. File a final report detailing your administration of estate property with the probate court. The court will inform you of the date by which this report is due. OneCLE: General Laws of Massachusetts - Chapter 192 Probate of Wills and Appointment of Executors.